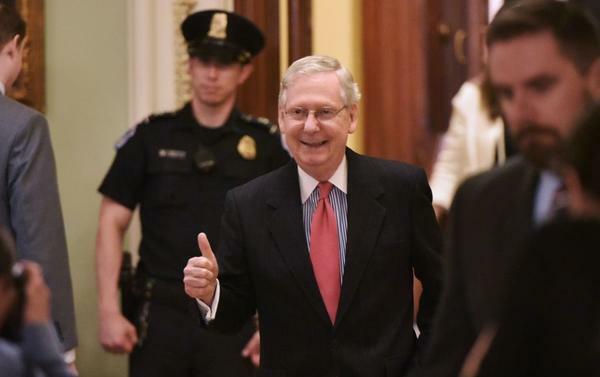 Senate Majority Leader Mitch McConnell and fellow Republicans set a precedent for the Senate on Thursday, changing rules for Supreme Court confirmations and easing the process for nominee Neil Gorsuch. The U.S. Capitol as seen from the Supreme Court Building in Washington, D.C.
Senate Democrats voted against ending debate on Gorsuch's nomination on a near party-line vote, leaving Republicans shy the 60-vote hurdle required by Senate rules to move on to a final confirmation vote. Democrats opposed Gorsuch for a variety of reasons, including his conservative judicial philosophy, dissatisfaction with his answers during his confirmation hearings and a simmering resentment towards McConnell's decision to block any consideration of President Obama's nominee Merrick Garland last year. "We believe that what Republicans did to Merrick Garland was worse than a filibuster," said Senate Minority Leader Charles Schumer, D-N.Y. So McConnell then, as promised, used the power of his position and with all of his GOP colleagues lined up behind him, to essentially change the rules of the Senate — to lower that threshold on Supreme Court nominations to end debate from 60 to 51 votes. The change did not affect the legislative filibuster. McConnell made a point of order that ending debate on the nomination only requires a simple majority. The motion was not sustained by the chair because Senate rules required 60 votes, so McConnell then made a motion to overturn that ruling. And once that motion passed on a party-line vote, the Gorsuch nomination only needed 51 votes to clear the hurdle. That mild-sounding parliamentary maneuver has the most destructive nickname, "the nuclear option," because it contains sweeping impact on the Senate, President Trump and all of his successors — and the nation as a whole. By essentially eliminating the filibuster for Supreme Court nominees — an extension of the 2013 nuclear option triggered by then-Senate Majority Leader Harry Reid, D-Nev., for all lower court and executive branch nominees — all presidential nominees will now face a far easier path navigating through the Senate confirmation process. It also could make it easier for presidents to appoint more overtly partisan justices to the Supreme Court. The change will also test the character of the Senate and the people who serve in it, and lay bare whether the upper chamber is slowly lurching towards becoming more like the majority-driven and reactionary House of Representatives, where the minority party has little substantive role. Opponents of easing the filibuster warn that the next and likely step is to eliminate the legislative filibuster, which allows any one senator to hold up a piece of legislation and requires a 60-vote threshold to break the logjam and move such a bill forward. Critics of the filibuster say the maneuver is abused and used so regularly that it has rendered the Senate incapable of acting on even routine legislative matters. 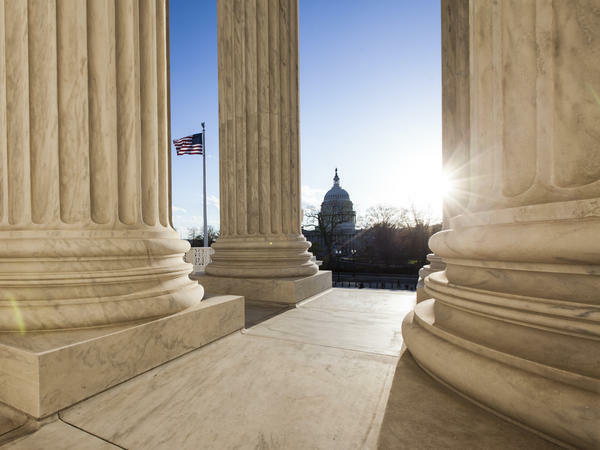 The filibuster and the rights it gives to individual senators and the minority party are reasons why the Senate has long considered itself "the greatest deliberative body in the world." But the use of filibusters and the polarization between the two parties have dramatically increased in the past two decades, making it harder and harder for the Senate to reach bipartisan consensus even on matters like the annual 12 spending bills. The impact of McConnell's move Thursday is a matter of heated debate, and its long-term effects are unpredictable. Advocates of changing the Senate rules on filibusters say it may be a necessary evolution for a polarized Congress to function in the modern era, while opponents say it threatens to send the nation further down a path where the two parties are so opposed that bipartisanship and centrism are relics of another era. "Today's vote is a cautionary tale about how unbridled partisan escalation can ultimately overwhelm our basic inclination to work together, and frustrate our efforts to pull back, blocking us from steering the ship of the Senate away from the rocks," Schumer said.